Review how the Aero-TSheets sync works. Navigate to Admin > Manage Integrations and click the Connect to TSheets button. Click the Create a new TSheets account and connect to Aero button (During the Early Access period you will need to use the URL provided to access the new Manage Integrations page with the TSheets option). If you already have a TSheets account, here's how you can connect it to Aero. TSheets will ask you to fill out a little information. Note that your TSheets login email and password does not need to be the same as your Aero login and password. Click the Create button. You might want to save the TSheets login information. Then click the Allow button. 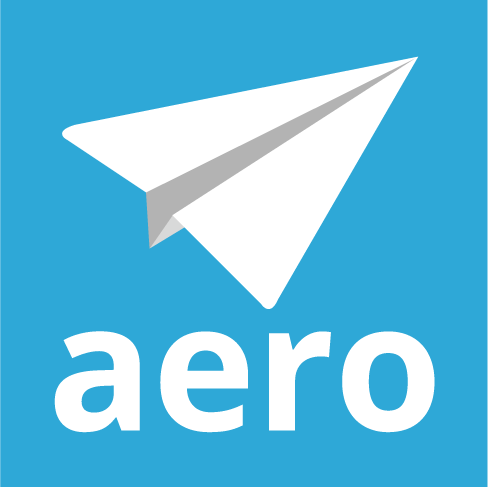 Read about best practices for syncing Customers (Jobs) with Aero. Start the first sync by clicking the Sync TSheets Now button. If you’ve connected your TSheets account to your accounting system (such as QuickBooks or Xero) very likely Advanced Tracking was turned on as part of the integration (Learn about Advanced Tracking in TSheets). If Advanced tracking is enabled, Aero will bring in the Service Items and Classes from TSheets. If Classes and Service Items are required in TSheets, then make sure that you have selected those for each Aero Type. Otherwise, your time entries will not sync to TSheets. During the initial sync, Aero will also bring in your TSheets Jobs/Customers* and Employees and will match Jobs to existing Aero Customers or create new ones. Learn more about the way the Job-Customer sync works. If you don't have any Customers/Jobs in TSheets, you can export your Aero customer list and then import them to your TSheets account. If you want time to automatically sync from Aero to TSheets, navigate to Setup > My Company and check the Auto sync time box. Learn more about how the time sync works. Navigate to the Edit Team Member screen to match each Aero Team Member to the corresponding TSheets Employee. Choose the correct name from the TSheets Entity drop-down. Note that you can only select an existing TSheets Employee from the drop-down. New Employees are added in TSheets and then synced to Aero from the Manage Integrations page. If you have Service Items and/or Classes required in your TSheets account, edit your Aero Types so that each one is connected to a TSheets Service Item and/or a Class. If you have advanced tracking turned on and have fields called something other than “Service Item” or “Class,” contact support to match those fields in your Aero database. *Depending on what accounting system your TSheets account is connected to, you may see "Customers," "Jobs," or something else listed.